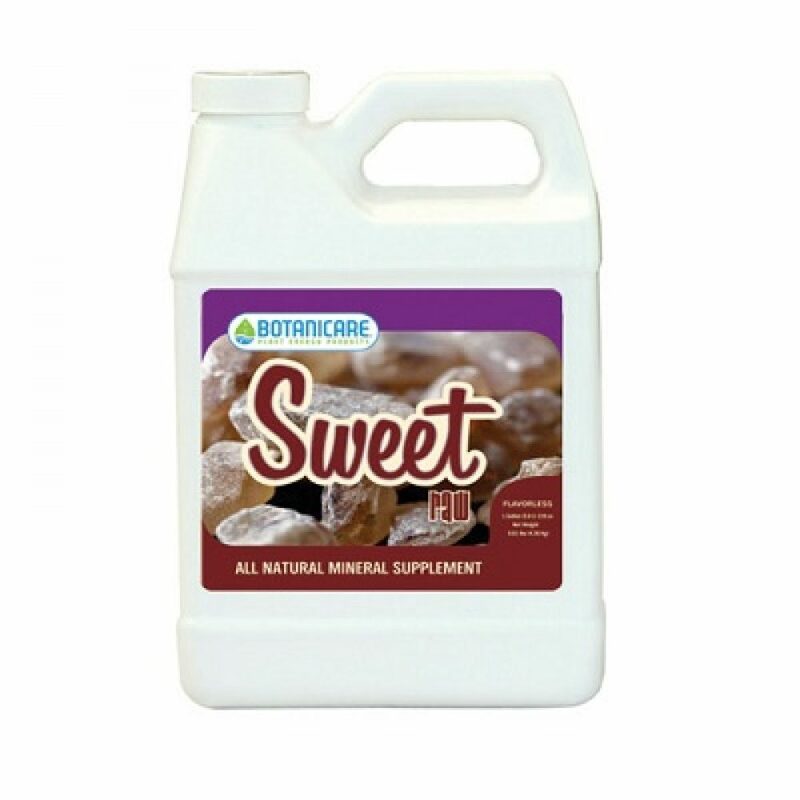 Botanicare has combined the Superiority of Sweet with the Flavors of Nature in the newest addition to the popular Sweet line – Sweet Raw. Sweet Raw helps maintain optimum metabolic levels by supplying plants with the vital energy they need during the entire grow cycle. Sweet Raw offers the same premium ingredients as the original flavored versions, without the added flavors. Get in the Raw with this flavorless blend of more than 20 amino acids, select carbohydrates, enriching vitamins, and an array of essential secondary and trace minerals.